Manufactured in Allemagne from 1951 until 1952. 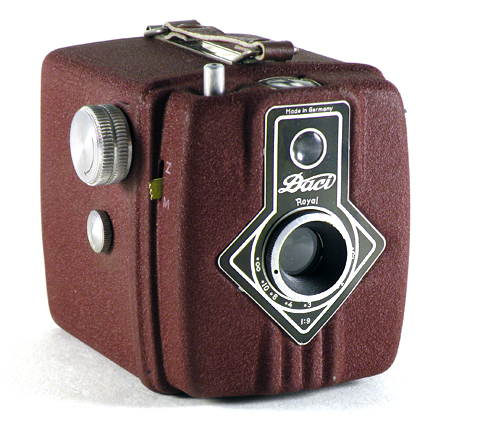 The Daci Royal Flash was available in several colours, including red. Royal Flash are equipped with a synchronization and a focus adjustment from 1.5 m to infinite by rotating the lens. On this model the 1:9 aperture is displayed at the lower tip of the front faceplate that is not the case for all Daci Royal.